To be an abstract artist in LA in the 1980s was the next best thing to being lead singer in a punk band. You lived in a downtown LA loft and partied with celebrities. 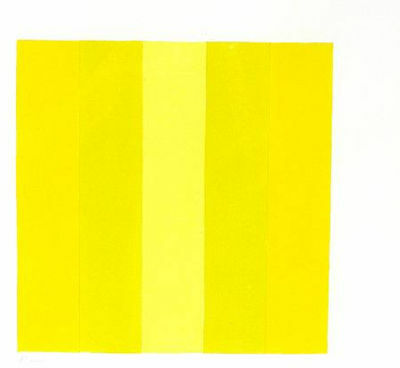 Hard-edge artist Penelope Krebs enjoyed the perks of the scene for nearly 20 years until the death of her husband, fellow artist William Dwyer, in 2004. Then Krebs stopped painting her huge geometric canvases. The magic of all those lines and colors–the magic of the parties–was gone for her. Someone told her there were artists living near Joshua Tree National Park and she thought maybe she could start again there. As we know, plenty of LA artists have moved to Joshua Tree in recent years. The path from city to country is not unique. But what happened next for Krebs was more than anyone could have predicted–especially the artist herself. When she moved into a renovated Morongo homestead in 2005, she wasn’t painting; and her work doing research for lawyers had slowed due to the recession. Krebs sat outside a lot and worried. That’s when she began to notice the birds. Krebs unknowingly had moved to a major stopover on the Pacific Flyway, with more than 250 species of resident and tourist birds for neighbors. The Morongo birds had Krebs’ attention, alright, but she was uneasy painting them because of the anti-realism bias common to abstract painters. Painting a bird that looked like a bird seemed vaguely quaint, like crocheting. 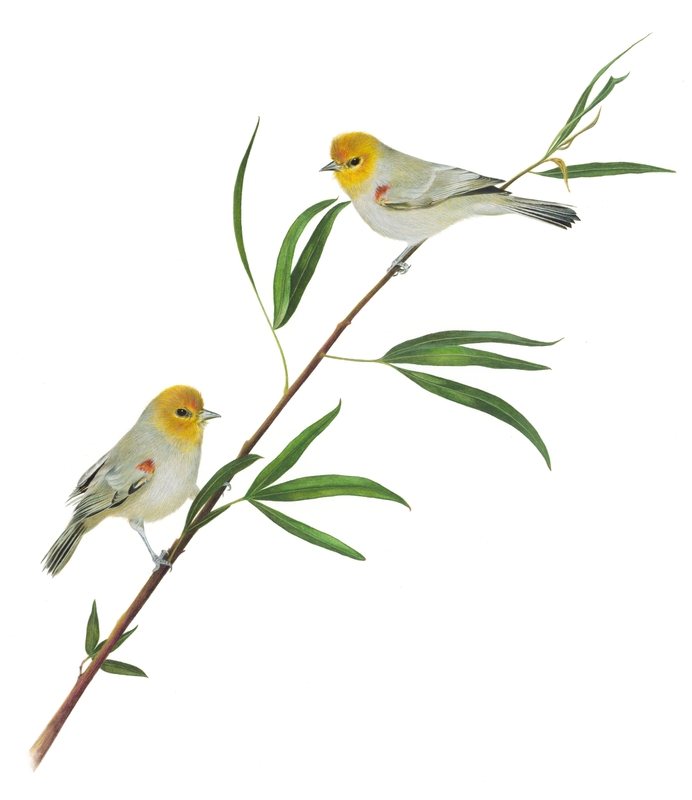 What would Bill (her late husband) have thought if she started painting house finches? But paint a finch she did, and one finch led to another. Soon she was hanging up feeders and adding bird-friendly plants to the desert landscaping around her house. The painter once known for huge abstract bands of color began to sell paintings of orioles and grosbeaks. Her abstract artist friends from LA were having a hard time selling work, but the birds were flying out the door. 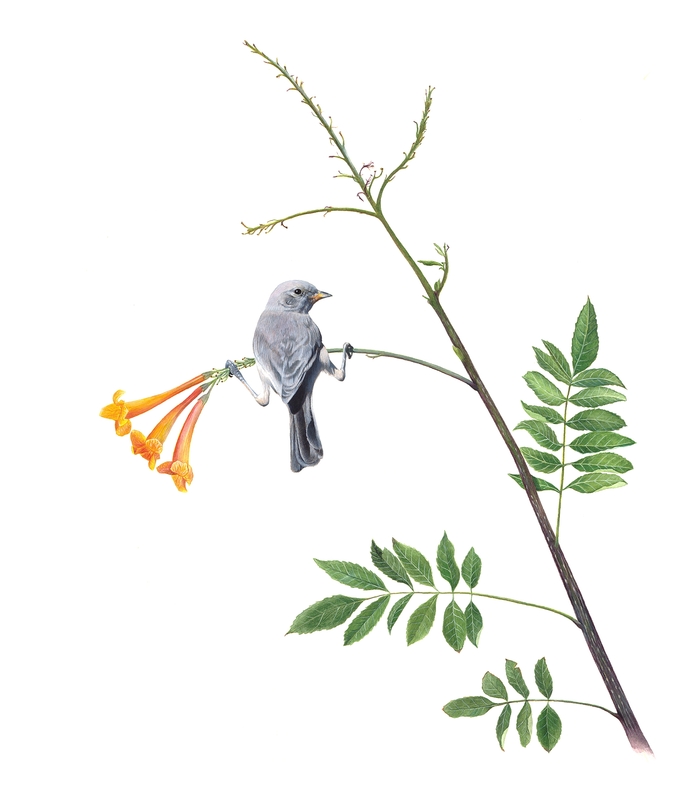 Krebs was even invited to paint a honeycreeper for the Smithsonian’s “Darwin’s 100th Birthday” celebration. Krebs’ champion in the transition from abstract to representational has been her sister, Pamela Carroll, a realist painter from Carmel. When the two were little they painted birds together with no thought of whether it was cool. But then Krebs went off to study abstract art at the UCSB College of Creative Studies with teachers John McCracken and James Hayward. It’s the physical act of painting she loves, the layer upon layer upon layer of tiny strokes it takes to capture a thrasher’s wing. This style of bird painting calls on the same attention to formality and precision as her earlier abstract work. You can meet Krebs at La Quinta’s Art Under the Umbrellas, November 6, or at the Stevens Park art festivals and the Palm Springs Arts Festival January 21-23, as well as other events around the Coachella Valley. Beautiful! 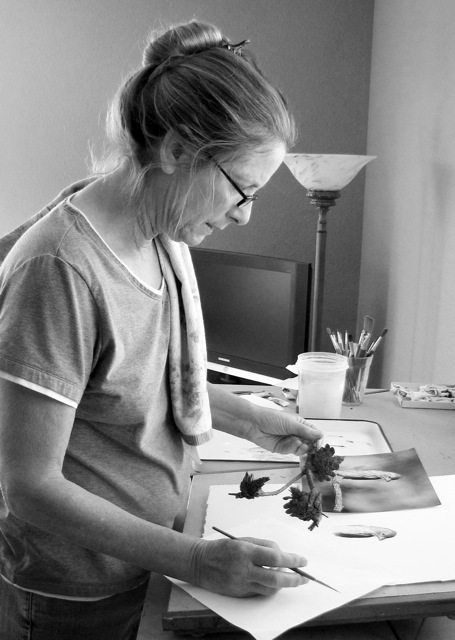 Penny has always been a great painter, and it seems she still is! Fly Penny fly! it’s a joy to see the excitement in penny when she starts a new bird and the love for her birds flow into them. I visited your “booth” at the Village Fest in Palm Springs, on Thursday evening, March 31, 2011. I purchased the print of the Western Chickadee with pinecone. I really appreciate your talent, and that you have opened your heart to the beauty of the birds of the SouthWest. Hi Penelope — I love your work, much preferring the realism to the abstraction… Karin and I live in Idyllwild which at the moment is hovering at 21 degrees F. Had the idea to explore your neighborhood for affordable homes for parts of the winter, or someone who would like to exchange for a while, as we are getting a bit tired of the long stretch of 15-35 deg. weather. While visiting family in Washington, D.C. I was fortunate enough to come across a collection of note cards with your artwork in the Smithsonian Museum of Natural History. I snatched them up for myself and another set as a gift for a friend who is also a bird lover. I’m afraid that I didn’t think ahead, though, and will be in big trouble when I see my mother and don’t have a set for her. She will be green with envy and I will be visiting your website soon to look for a way to supply her with her own. Good day. My mother left us some paintings she acquired in the late 50’s to early 60’s from a W.E. Dwyer from the New Orleans area. Would your husband have been the creator of these works? 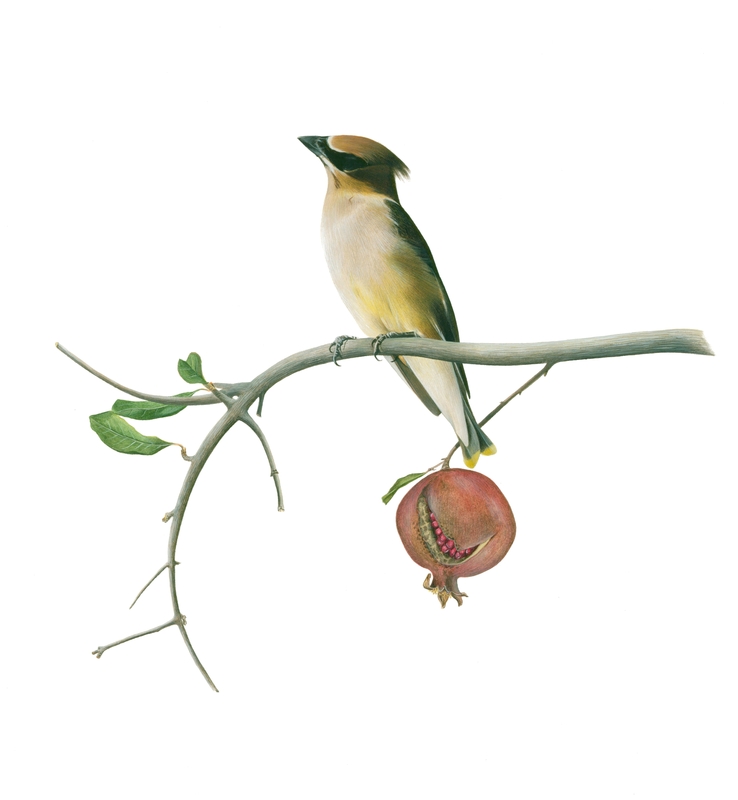 I know it’s a long shot, but I love birds and am wondering if you do any teaching, specifically to non skilled/non art-educated bird lovers? 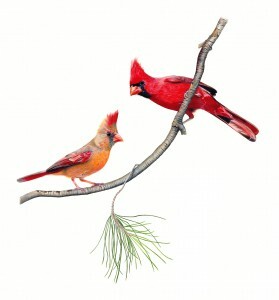 Your abstracts as well as the bird paintings are stunning to say the least! Genetics could very well have had some bearing in your considerable talent as an artist. I recently had the wonderful luck of finding a painting (12×16) by, I believe, your grandmother Alma Carmody. It is signed “Alma Carmody 65”. The frame has one of those old, sort of quirky plastic DYMO labels which reads “Big Candy Mountain”. I am so thrilled to have this painting – the colors are so beautiful and looks wonderful in my home! Hi Penelope, I was at the Thursday night street fair on Feb. 27th, 2014 and left you my address to send me the hummingbird with the red flower. I was hoping that it would be here already but nothing has arrived. Please contact me if there is any problem with this order. Under the Umbrella on Main street later this month? I hope you will since we are leaving this beautiful valley April 2nd. Penelope Krebs! I picked up a pack of your cards at Pinnacles National Park. I would like to buy more of these cards. Can you send or email me instructions for ordering the cards? like to know if I can purchase any online. These will make wonderful gifts. I am looking for note cards to purchase. I have birds of the northeast and would like to purchase more. Where? 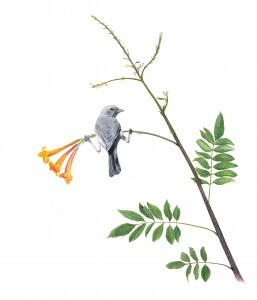 I bought hummingbird cards from you in Palm Springs & would love to order more. Do you also have canvas or posters? Do you have a schedule for upcoming events? I just love your art!!! Ps: I can’t seem to log on to your website. Just because we are your friends doesn’t mean we can’t say how much we love your work AND you! My cousin has ‘our roadrunner’ at her house in Vancouver and we have ours in Rancho Mirage. We both feel honoured. I manage a museum shop in the Pittsburgh, PA area and would consider carrying your bird note cards in the shop. Where can I get them wholesale? Thank you. I sure wish you would put your website with prints to purchase back up! 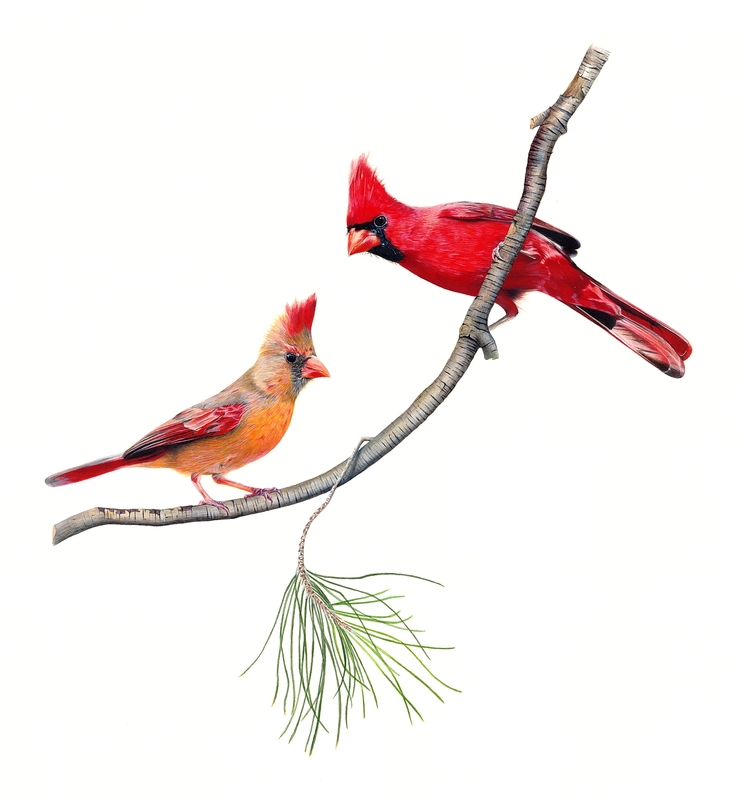 I have purchased several of your bird prints and would like more. Love your work! Hi there, my name is Tom McCaffrey, I’m a goldsmith. I live in Michigan City Indiana. I have been buying your bird cards for years from Lubeznic Gallery for years and using them as Christmas cards. But, this year I cannot find them anywhere. What should I do? On the subject or birds I observed 2 or 3 pairs of Henslow’s Sparrows in a scrub grass area on the outskerts of Michigan City. I first met Penelope in Palm Springs immediately purchased several of her works and fell in love with them and now need more!